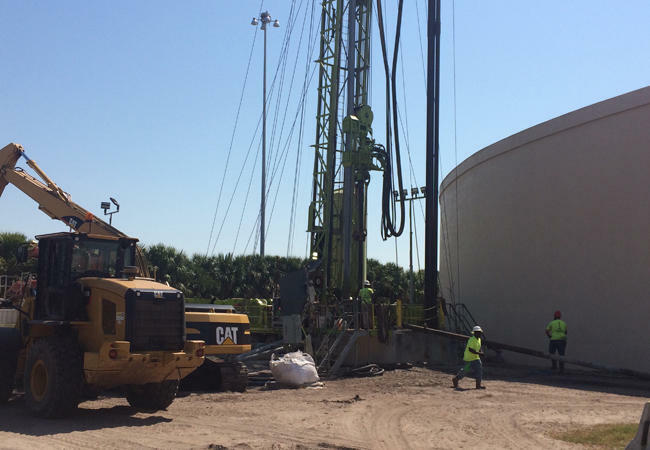 Workers drill a well where treated reclaimed water can be discharged at St. Petersburg's Souwest Plant. Plant supervisor David Webber says the facility was built to handle 40 million gallons of raw sewage a day. But during heavy rainfall, the amount of sewage flowing into the plant multiplies because leaky pipes and manholes let rainwater into the system. During Tropical Storm Hermine last year, as much as 84 million gallons of sewage flowed in each day -- overwhelming the plant. The city needed to keep raw sewage from backing onto streets and into people's homes. So the partially-treated sewage was dumped into Tampa Bay. Jason Venable is a supervisor at the city's Southwest water treatment plant. He had to open the valves that sent the sewage into the Bay. The St. Petersburg native has spent 25 years in the Army National Guard. He compared the sense of helplessness to a failed mission in Iraq. “The sense of defeat and helplessness is the same,” Venable said. “You know, it is very hard. It takes an emotional toll on me." All told, more than 160 million gallons of sewage were released into the bay after Hermine. Millions more overflowed onto the city's streets. St. Peterburg wasn't the municipality overwhelmed by sewage during Hermine. Tampa, Largo Clearwater and Pinellas and Pasco counties faced similar problems. But St. Petersburg was the worst offender. 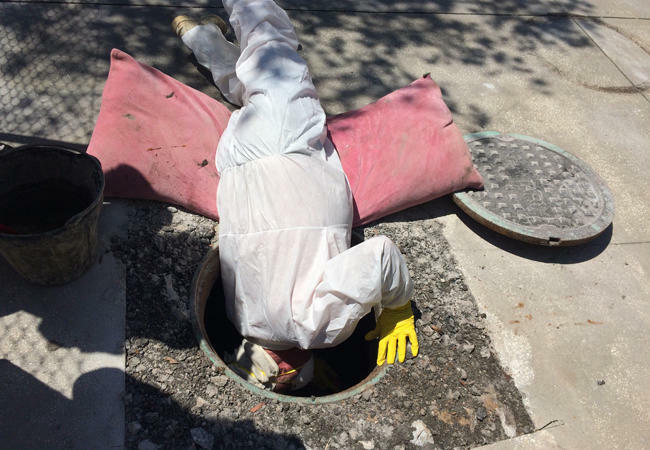 The city is now upgrading its sewer system so it won't have to release partially treated sewage onto its streets and into Tampa Bay again. The problems started during Tropical Storm Colin. The storm hit just months after the city closed its downtown water treatment plant, reducing the amount of sewage it could process. The releases after Hermine led to layoffs and a state investigation. The state Department of Environmental Protection forced the city to make improvements or face more than $800,000 in fines. Public Works Administrator Claude Tankersley says the improvements now underway will allow the city to process more sewage than had it reopened the downtown plant. "So the improvements we're putting in this summer were designed to handle the kind of flows we saw during Hermine," Tankersley said. These upgrades will help alleviate bottlenecks happening in some areas at the Southwest Plant. Other improvements include a new storage tank and new filters that will allow the city to process 45 million gallons more sewage per day. And there are two new wells being drilled that will give the city somewhere to put the treated reclaimed water. Right now, the city has three wells on site at the Southwest Plant where 45 million gallons of reclaimed water can be pumped each day. Webber, the plant supervisor, says the city is drilling a fourth well at the plant and another one down the street. Together they will be able to handle an additional 30 million gallons per day. Those improvements along with others will be phased in throughout the summer and wrap up by mid-September. The city says it will then be able to process up to 175 million gallons of raw sewage a day. That's more than enough to handle the peak flow of 155 million gallons a day from Hermine. At a recent event to showcase other upgrades, Mayor Rick Kriseman says the city will be ready for the second half of hurricane season. St. Petersburg officials are repairing about 2,000 manholes to make sure the city's sewage system is not overwhelmed during heavy rainfall. Gov. 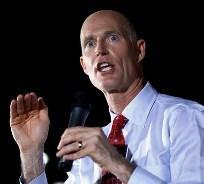 Rick Scott will sign a bill to step up public notification of pollution incidents, after the measure was unanimously approved Wednesday in the House. When it rains in St. Petersburg, as much as four times the amount of sewage can flow through the city's wastewater plants. 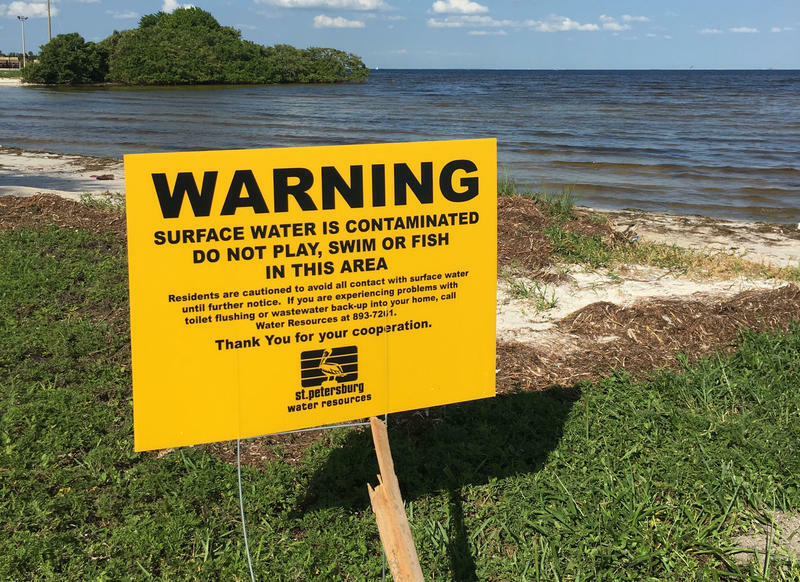 A researcher who tested the water around St. Petersburg for antibiotic resistant bacteria after the city released sewage into Tampa Bay didn't find any.